Full Disclosure: Jay Levell, featured in this story, is my brother-in-law. Don’t tell my sister, but we may have had parts of this interview at the hospital this week during the birth of his new baby boy (and my nephew!). In a town that is rallying around the hashtag #StopSterilizingCharlotte to protest the demolishing of the old to the building of the generic and shiny, it’s not typical to see a developer fight for restoration – especially when it’s no easy road. When multiple general contractors told Jay Levell of White Point Partners to bulldoze the Brodt Building he just bought and then build new, he pushed back. It’s in bad shape, it’s too costly to restore, it’s a tear down they all said. Lacking any real architectural differentiators, the Brodt building is not a historical building by any means, but for the people of Charlotte it has a rich history. 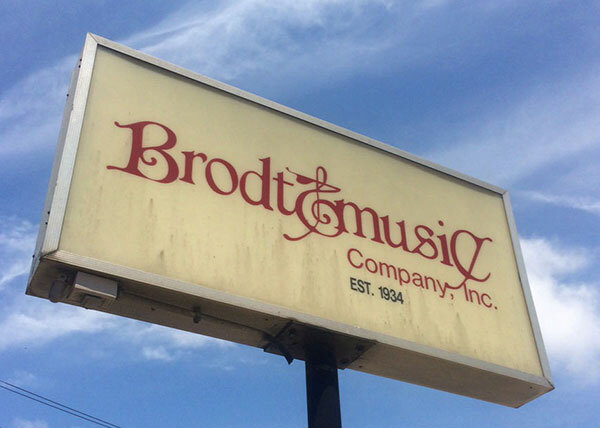 If you were a kid in Charlotte who played an instrument, you definitely visited the Brodt building to buy your sheet music. Since 1934, it’s where you bought your sheet music for band practice or piano lessons – a musty, paper-filled shop with a few folks repairing instruments in the basement. 1934: Cecil Brodt moves with wife Gladys from Madison, Wisconsin and opens sheet music shop downtown at current site of Hearst Tower. 1953: Shop relocates to 1906 Commonwealth Ave. in building built by Brodt. 1953-1992: For 39 years, shop sells sheet music, instruments and repairs, and serves as a community advocate for music in education and entertainment. 1992: Cecil passes, Gladys sells business and building to new ownership. 1992-2013: Over 21 years, new ownership suffers as internets, digitizing of sheet music and recession equal declining sales. Building falls into disrepair. 2013: White Point Partners buys the Brodt Building and the parcel beside it. The road to restoration and Legion Brewery begins. In buying the building, Jay’s intention had always been to repurpose it. They also really liked the iconic neon green sign. Let’s be clear, due to the nature of the business, Jay and White Point must build new construction too, but this restoration project is near and dear to them because they believe Plaza Midwood has more character than anywhere in Charlotte and they wanted to keep that spirit alive. On the heels of city zoning changes that allowed production breweries to operate outside of industrial zones, White Point Partners realized that although there were multiple breweries in NoDa and South End, there was a huge void in Plaza Midwood and the Brodt space was ideal for brewing beers and serving as a gathering space. So when Phil Buchy approached them, a contractor by trade and home-brewer for 17 years – who also happened to be instrumental in helping change the zoning laws – they knew they had found the right tenant. 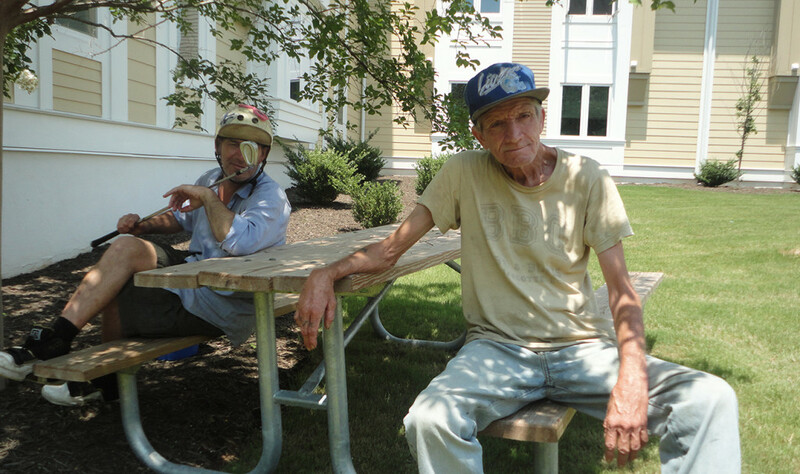 With his construction background, Phil was the man they knew would attend to the restoration process with proper care and be a good steward of the building. Not to mention, those 17 years experience as a home-brewer brought serious cred for good beers and successful business to come. 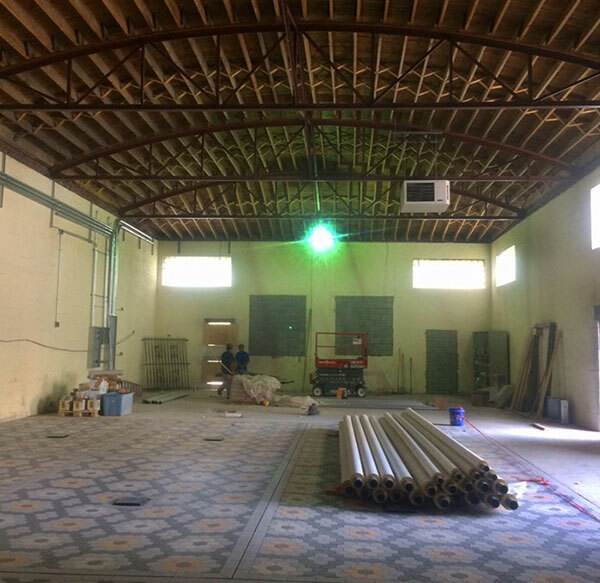 Last month, on May 4, 2015 the county approved all plans and construction on Legion Brewing began in earnest. 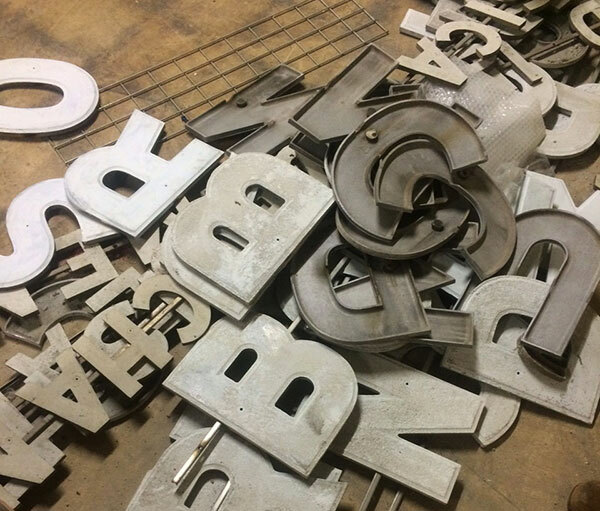 So far, after removing a drop ceiling full of insulation, they’ve uncovered a gorgeous vaulted wood ceiling and salvaged signage, steel and wood they plan to remake into the bar, tables, chairs and decor. Construction will be complete July 15th but due to various issues it seems all small businesses trying to start up in Charlotte face (another story altogether!) coupled with at least a month’s time to brew the first batches, they won’t be open until the fall. Let’s hope the city moves faster ’cause we thirsty! The Space: The smaller street level front room serves as the tap room. A mezzanine opens out onto an impressive two story brew space, housed under a vaulted, wood beam ceiling. Future plans ideally include a beer garden outside on the bottom level where music events and festivals can take place. The Decor: They are only using old world materials in build out: wood, stone, metal, porcelain. They will incorporate some music themes into the decor to elevate the history, but it won’t be all about Brodt. Old with the new! The Art: North Carolina artist, Scott Nurkin, is set to do a mural on the Commonwealth side of the building. They also want to bring in local artists to do rotating installations on the brewery walls. The Herb: Phil plans to plant a working herb garden out front that they can use for ingredients. Now that’s local, y’all. 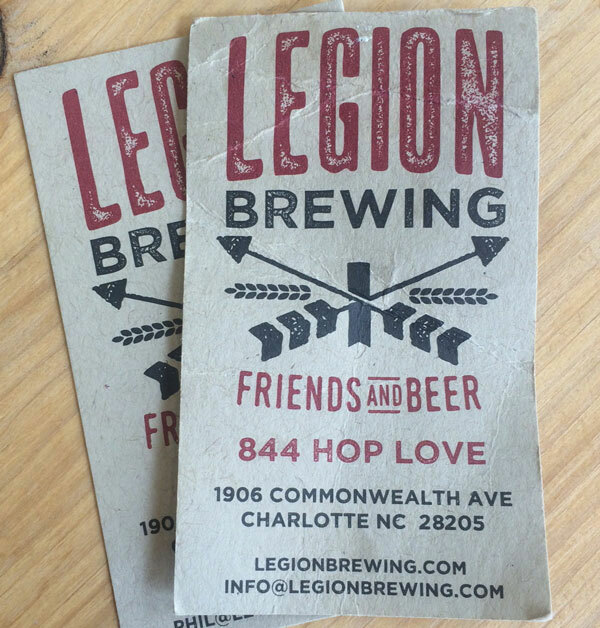 Look for more updates to come as Legion Brew gets closer to opening date.